on their "Fire of The Phoenix" North American Tour! DJ's Xris SMack! • Cliff Cage • Paradox + more! 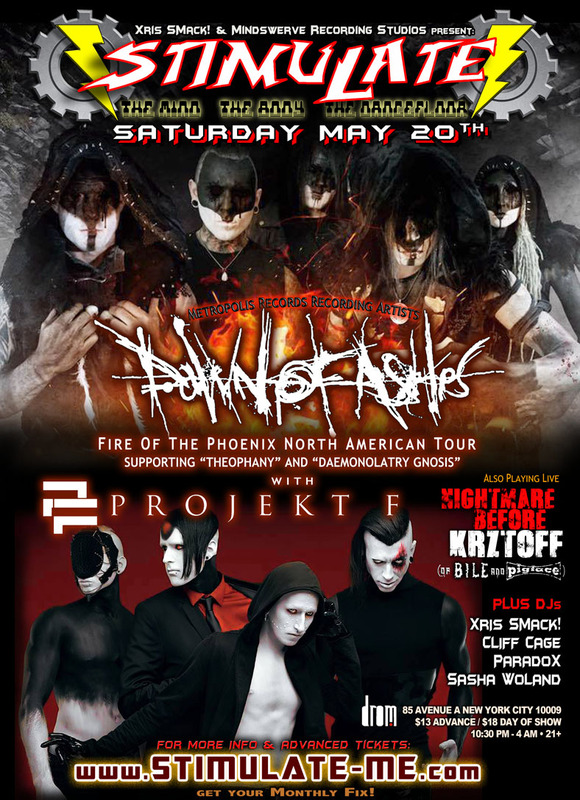 :Cliff Cage, Dawn of Ashes, DJ Paradox, Gothic Metal, Industrial, industrial Metal, Metal, Metropolis Records, Projekt F, Terror EBM, Xris SMack!